WHAT IS A CAVEAT AND WHAT DO THEY DO? There is often misunderstanding in relation to what a caveat actually is and what a caveat does. This blog answers all the questions commonly asked by clients in relation to caveats. A caveat is a notice to the Registrar of Titles (at the Department of Natural Resources and Mines) and which, subject to some exceptions, has the effect of prohibiting the registration of a land interest dealing (unless that dealing is expressly permitted by the caveat) affecting the interest claimed by the caveator until the caveat is withdrawn, removed, lapses or is cancelled. A purpose of a caveat may be to allow time for parties to apply to the court to enforce or determine an interest in land. Alternatively, the purpose may be to alert a third party as to the interest claimed. A caveat is commonly used in the breakdown of relationships so that one party can preserve their interest in a property which may be in the name of the other party, but where both parties had made contributions to the property and the relationship. The grounds on which the interest is claimed. The caveat must be signed by the caveator or on or behalf of the caveator by the caveator’s solicitor. Because of the significance and impact a caveat may have, we require all caveats to be signed by the client (the caveator). Who may lodge a caveat? There are a number of persons who may lodge a caveat, including a person claiming an interest in a lot to be transferred or a person who has the benefit of an order of an Australian court restraining the registered proprietor from dealing with the property/Lot. A right, power or privilege over, or in relation to land or other property. What are the grounds to claim an interest in a property? In order to establish that you have a caveatable interest over the property, a caveator needs to show that they have sufficient interest over the property. This may be in the form of an equitable mortgage (for example, when a parties’ relationship breaks down) or that they are the buyer of the property where settlement is not to be effected for some time or where proceedings are on foot and the registered owner is attempting to sell the property. These are just some examples. A person who lodges or continues a caveat without reasonable cause must compensate anyone who suffers loss or damage as a result. It is therefore essential that a caveat be lodged if there is a cavetable interest and the caveat is lodged with reasonable cause. Who receives notice of the caveat? The Registrar must give written notice of the caveat to all persons whose interest, or whose right to registration of a dealing on title, is affected by the caveat. This includes (for example), the registered owner of the property and any mortgagee which has a mortgage over the property. How is a caveat withdrawn? A caveat may be withdrawn at the caveator’s request at any time. A request to withdraw a caveat document must be signed and lodged with the Registrar. A caveat which has been lodged without the consent of the registered owner will lapse within 3 months if the caveator does not initiate court proceedings to enforce their rights. The registered owner may serve a notice requiring the caveator to initiate court proceedings to establish the interest claimed in the land within 14 days of receipt of the notice. The registered owner must also notify the Registrar of Titles that such a notice has been issued. Notify the Registrar within 14 days that proceedings have been started and identify the proceedings. If the caveator does not comply with both requirements above, the caveat lapses. Notify the Registrar within 13 months that proceedings have been started. If the caveator does not comply with both requirements, the caveat lapses. What proceedings must be commenced? Proceedings must be commenced in a court of competent jurisdiction to establish the interest claimed under the caveat. How is a caveat removed? The registered owner may apply to the Supreme Court for an order for removal of the caveat. The Supreme Court may make an order determining whether or not the caveator has been served with the application and may make the order on terms it considers appropriate. If you are seeking to restrain dealings in a property, one option is to seek an interim injunction in the Supreme Court of Australia, restraining dealings with the property. A copy of the injunction can then be lodged with the caveat to support the caveat. With an injunction supporting the caveat, the caveat will not lapse. How is a caveat cancelled? The nature of the interest claimed does not entitle the caveator to prevent registration of an instrument that has been lodged. The Registrar must give 7 days’ notice to the caveator before cancelling the caveat. Can a second caveat be lodged? A person may not lodge a further caveat for the same property on the same or substantially the same grounds as the first caveat without permission from a court of competent jurisdiction. If you are thinking of lodging a caveat over a property, please contact us and we can advise as to whether or not you have sufficient grounds to establish a caveatable interest in the subject property. Before purchasing a new home or investment property we strongly recommended that buyers undertake building and pest inspections to ensure that there are no costly hidden problems with a property. In Queensland it is standard for contracts of sale to include a building and pest condition. This allows buyers to engage qualified building and pest inspectors to attend the property and provide written reports. Buyers must decide whether they are satisfied with the reports and provide notice to the seller by 5:00pm on building and pest inspection date. If the buyer is not satisfied with the reports obtained they may have the option to terminate the contract. It is crucial that both parties are mindful of this deadline. The seller will also have the right to terminate the contract if the buyer has not given notice on time under this condition. So what should you do if you are concerned about the results of the inspection reports? The reports should reveal any potential issues with the property, which may range from small defects to major structural issues. If you have concerns about the property it is best to discuss these with your building inspector first and then consult your solicitor. Buyers should be aware that sellers are not obliged to fix all issues raised by the building or pest inspector and not every issue will automatically give buyers a right to terminate the contract. In order to terminate under the building and pest condition buyers must act reasonably. Whether or not it is reasonable to terminate the contract will depend on a variety of factors, such as the age of the property and if the issue was obvious when the contract price was negotiated. Major structural issues or severe termite infestation are examples where it would be reasonable to terminate. If you do not wish to terminate the contract, the building and pest reports can be a useful tool to negotiate with the seller for a reduced purchase price or to ask for defects to be remedied prior to settlement. Any negotiations with the seller must be agreed in writing before the building and pest condition expires. Make sure that you arrange the inspections well before the due date to allow time for the inspector to prepare the reports as well as time for any negotiations to take place. Be present at the property while the inspections are carried out. 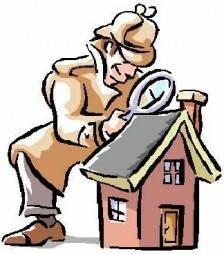 This way the inspector can point out any potential issues and provide you with more background information than what will be included in the report. Keep your solicitor informed and provide plenty of notice if you wish them to undertake negotiations with the seller on your behalf. This ensures that you do not miss any deadlines. For more information please contact the friendly team at Just Us Lawyers on 07 3369 7145.
Who will take care of me when I’m old? Are you prepared for when the time comes when you’re no longer able to make decisions for yourself? The best way to provide peace of mind is to legally appoint a trusted person – or people – NOW to manage your financial, personal and health matters in case in the future, you are unable to do so yourself. 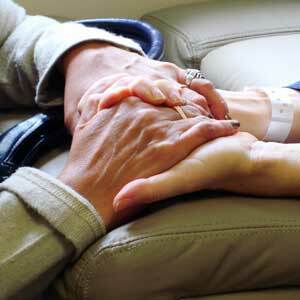 Our team is here to assist you with preparing your Enduring Power of Attorney. In this new blog section of our website you will find advice, news and interesting articles.